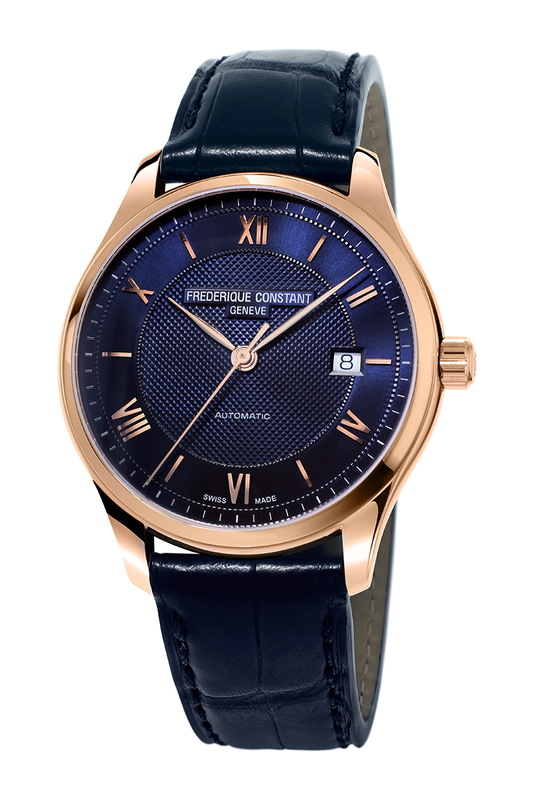 Here is something to make your heart beat a little bit faster, in a good way: Frederique Constant has introduced new models for the Frederique Constant Classics Index collection. 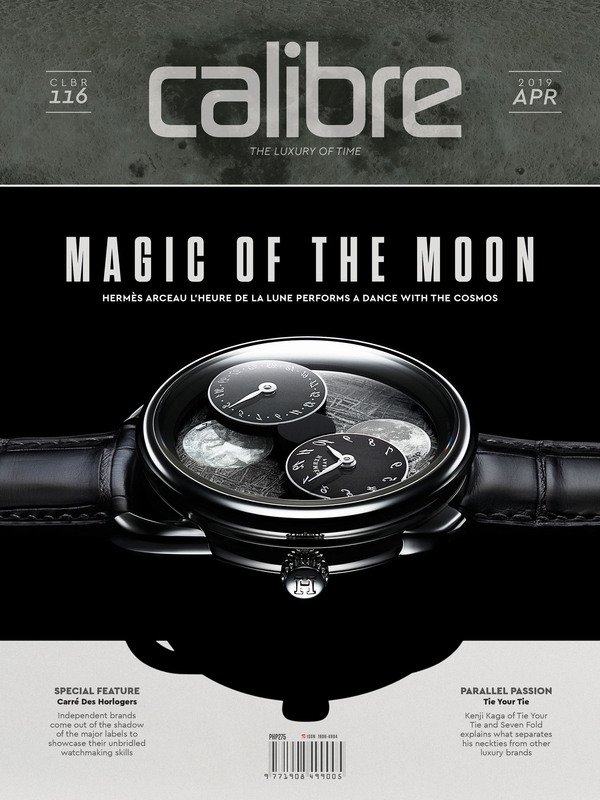 The brand is known for watches that are classic and elegant. ‘Accessible Luxury’ isn’t just a catchphrase; the watches are Swiss excellence to the core. The recently –introduced Classics Index Automatic give us style and simplicity reimagined. 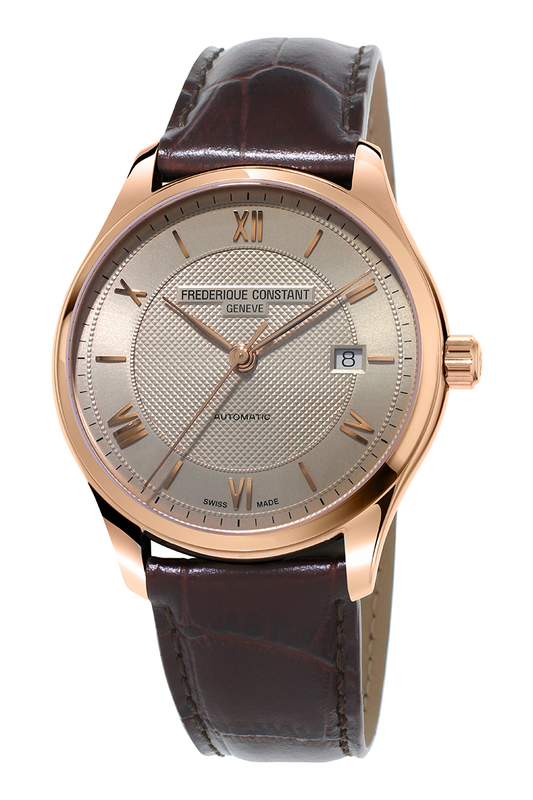 The first set of watches is from the Classics Index Automatic line, each fitted with the FC-303 automatic movement. They all have hours, minutes, seconds, and the date. Coming in at 40 mm size in either polished stainless steel or rose gold-plated stainless steel, the watches are clean but not austere. The varied treatments on the dial add just the right amount of styling to keep the watch interesting. There are two navy blue dials, one with a stainless steel bracelet and the other with a navy croco calf leather strap. The blue dial is gorgeous and deep, and the Guilloché decoration adds depth and mystery. The light grey dial is partnered with a dark brown croco calf leather strap. The Guilloché decoration might seem more visible in the light grey, but honestly, the blue is the winner here. The next set of watches is from the Classics Index Automatic Heart line, and these are eye-catching beauties. 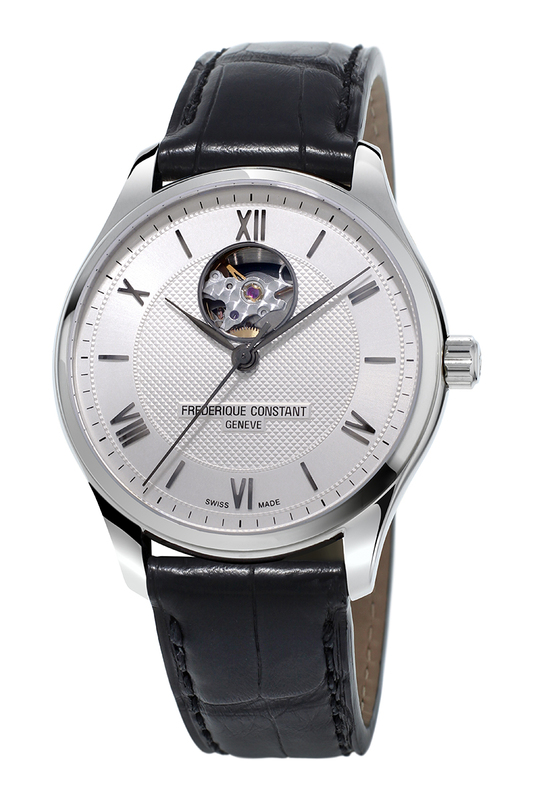 Introduced in 1994, the Heartbeat watch became an iconic signature for Frederique Constant. It was an artistic way to show that the watch model was mechanical. The aperture was given prime position, just below the 12, to showcase the balance wheel, the ‘heartbeat.’ The innovative choice was ingenious way to show the brand’s watchmaking skills. Clever and classic. 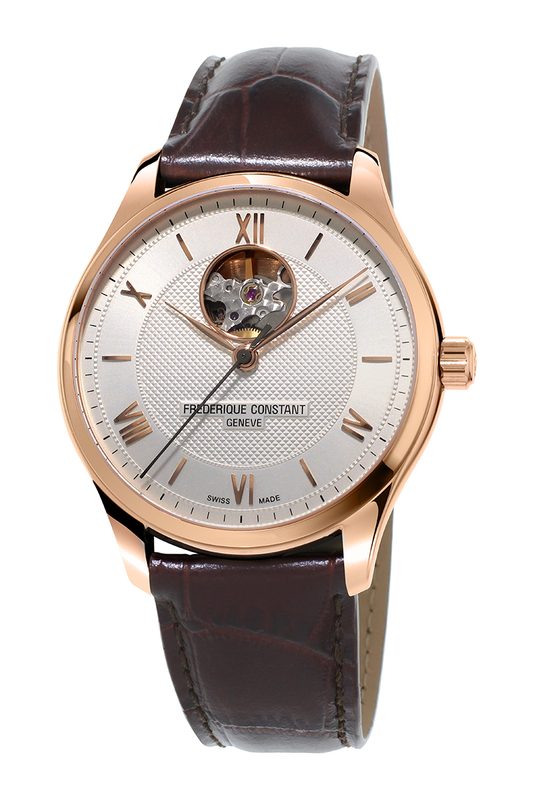 Powered by the FC-310 Heart Beat Automatic movement, the watches also measure 40mm, and have a see-through caseback. They have hours, minutes, seconds, and that beautiful heartbeat. The dial is done is silver, with the same Guilloché decoration. You can choose from polished stainless steel with a black leather croco calf leather strap or rose gold-plated polished stainless steel with a dark brown croco calf leather strap. 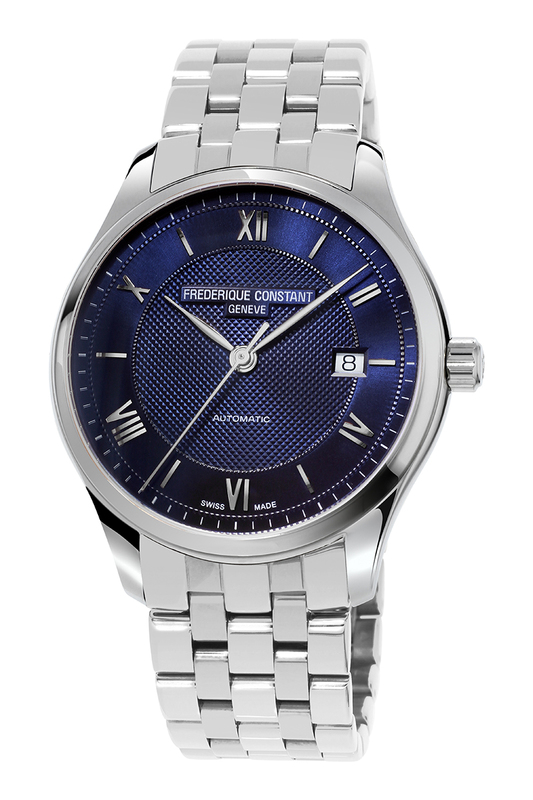 The Frederique Constant Classics Index collection espouses minimalism but is exquisite in the finishing and detailing. 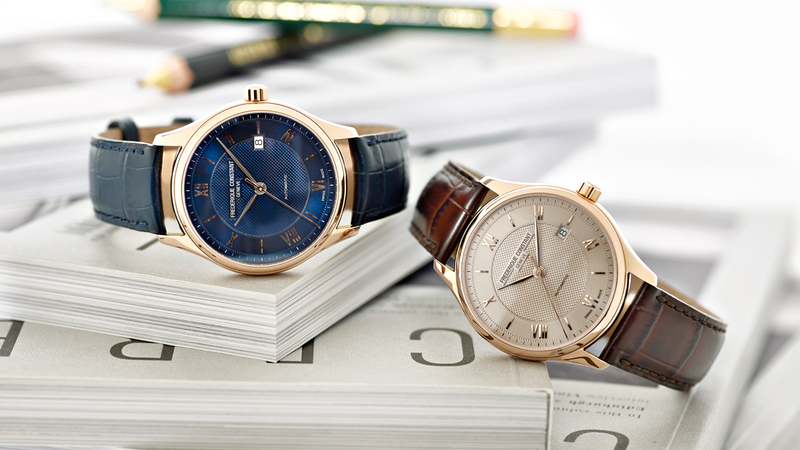 Both lines – the Classics Index Automatic and the Classics Index Automatic Heart Beat – are simple and elegant. Constantly.